Over the Christmas break I went to Niagara Falls. I went with all of my mom's side of the family on Christmas Eve. We went because it was my Grandma's Christmas present to all of my family. First, we had to meet up with all of my family. Then, we looked at the falls and took pictures. 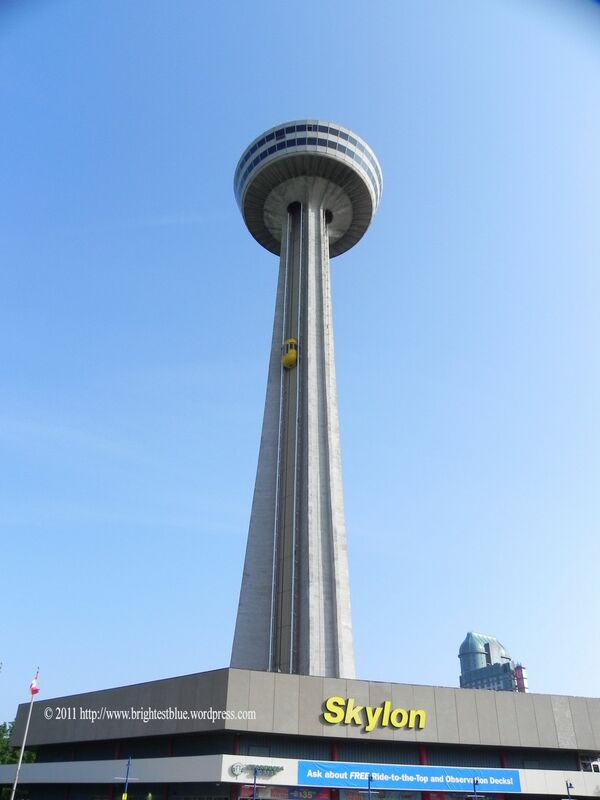 After that, we all went up in the skylon tower. The skylon building is like the CN Tower but much smaller. We went and ate there at a moving floor restaurant close to the top of the building. It has moving floors because then wherever you sit, you will eventually see the falls. Next, we went up to the very top of the tower and looked at the falls from there. we were able to go outside at the top. We went out and the wind was really strong and it was really slippery so we fell a lot but it was so fun! Lastly, when we were back on ground level, we went to see all the Christmas lights that they put around in Niagara. They were beautiful and we took at group photo outside. It was cold! That was one thing that I did over the break and it was a blast!